The Unmaking of Israel: How government policies have caused the surge in ultra-Orthodox Judaism in Israel. How government policies have caused the surge in ultra-Orthodox Judaism in Israel—and why it’s an economic disaster. The following is adapted from Gershom Gorenberg’s new book The Unmaking of Israel. Read yesterday’s excerpt about why, exactly, Israel ended up losing most of its Arab population in 1948.Tomorrow, Slate will publish a final excerpt about how Israel can resolve its tragic crisis with the Palestinians. Today’s haredim, or ultra-Orthodox Jews, are known for marrying early and having many children. Photograph by Jack Guez/AFP/Getty Images. I’m standing in the Kerem Avraham neighborhood of Jerusalem. Across the street is the stone-faced building where Israeli novelist Amos Oz grew up in a small ground-floor apartment. Back then, in the 1940s, Kerem Avraham was home to “petty clerks, small retailers, bank tellers or cinema ticket sellers, schoolteachers or dispensers of private lessons,” as Oz writes in his memoir, A Tale of Love and Darkness. They observed the last vestiges of Judaism—lighting Sabbath candles on Friday night, attending services on Yom Kippur—and avidly argued fine points of secular Zionist ideology. While I stand on the street, a flock of teenage girls walks by, dressed in blue blouses buttoned to the neck, pleated skirts, and high socks, so that no skin besides their faces and hands shows. A family passes, the husband in a circular, flat-topped black hat, his wife pushing a stroller, three more children younger than age 6 walking with them. The mother wears a wig, the common method for haredi (ultra-Orthodox) married women to hide their hair in modesty. On a cross street, I pass a kollel—a yeshiva where married men receive small salaries to study full-time. Kerem Avraham today is one neighborhood in the haredi belt of northern Jerusalem, a land of wall posters denouncing television, Internet, and rival religious factions; of life-long Torah study for men and countless pregnancies for women; of schools that provide scant preparation for earning a living and no preparation at all for participating in a democratic society. The neighborhood began changing in the 1950s, after the rebellious young Oz moved to a kibbutz, which he left many years later. Less than a mile from Amos Oz’s childhood home is an apartment development put up several years ago for better-off haredim. The nine-story buildings surround a courtyard with a playground that is crowded with children in late afternoon. Underneath the buildings is a three-level parking garage, with small storerooms along the sides of the half-lit concrete caverns. The storerooms, a standard feature of Israeli apartments, belong to the residents who live above. But some of the small rooms have doorbells, names on the doors, water meters, and high windows looking into the dark garage. I hear the voices of a couple inside one, and an infant crying. Outside another is a metal rack on which laundry is drying. They’ve been rented out as apartments to young haredi families who can afford nothing else. The picture above ground is of a thriving community. Beneath the surface one can see one part of the price being paid by the haredim themselves, and by Israel as a whole, for the peculiar development of ultra-Orthodoxy in Israel. Today’s haredim are known for marrying early and having many children, even as men spend much or all of their adult lives studying Talmud rather than working. When the state was established, haredi society “was entirely different,” says sociologist Menachem Friedman . “It was a normal working society,” similar to the rest of the Jewish population. The fertility rate was about the same. So was the average marriage age, though sometimes haredi men married relatively late if they wanted to extend their religious studies. To get married, a man had to leave Talmudic studies in a yeshiva and find work. This is a story full of ironies. Here’s the first: The critical, unnoticed catalyst of the transformation of ultra-Orthodox society in Israel was the 1949 law instituting free, compulsory education. In the first stage, the state funded existing school systems, which were tied to political movements. 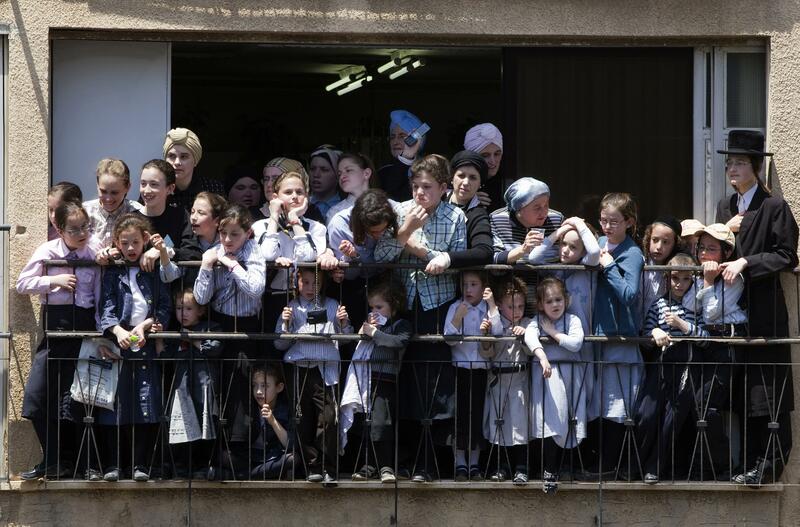 In British-ruled Palestine, ultra-Orthodox schools had been few, scattered, and short on cash. After independence, most joined a school system under the roof of the ultra-Orthodox Agudat Yisrael party. In Knesset Education Committee discussions of the compulsory education law, the fact that it would provide budgets to the ultra-Orthodox schools hardly merited mention. After all, ultra-Orthodoxy was vanishing. Instead, the opposite happened. State funding made it possible to open new ultra-Orthodox schools and pay steady salaries. Young haredi women could finish teacher training at Agudat Yisrael’s seminaries by age 18 or 19 and get elementary-school jobs. Meanwhile, some of the Jews pouring into Israel from the Islamic world chose haredi schools for their children, creating more teaching positions. In 1953, when the Knesset voted to eliminate party-run schools and create a national educational system, it left loopholes in the State Education Law that allowed the Agudat Yisrael schools to keep operating and receive funding from the state. As the Israeli economy modernized, high school education became the norm. The state helped fund ultra-Orthodox secondary schools along with others, but the high schools for haredi boys were devoted entirely to religious studies. Most were boarding schools, where students lived in a day-and-night realm of Torah study, with rabbis substituting for parents. From there, young men—not only the few brilliant scholars, as in European Europe before the Holocaust, but the mass—proceeded to advanced yeshivot. The leading haredi religious figure in Israel, Rabbi Avraham Yeshayahu Karlitz, used these changes to promote a transformation in the name of extreme conservatism: Haredi men and women would marry young. Men would keep studying Torah in kollel after marriage, supported by their teacher-wives. Their working parents would help out. Funds to help give kollel students small salaries came from Jews in Western countries. The donors were not necessarily Orthodox. Rather, they regarded their contributions as honoring the destroyed Jewish world of Eastern Europe, seen through the distorting lens of loss and nostalgia. Ironically, the army’s centrality in Israeli life promoted the change, precisely because haredi society wanted young men to avoid what it saw as the IDF’s secular press-gang. Remaining a full-time Torah student allowed a man to stay out of uniform. The deferment helped lock young men into the kollel lifestyle. So did the education gap: Though ultra-Orthodox men spent years engaged in study, their schooling did nothing to prepare them for jobs in a modern economy. From their teens on, their curriculum was devoid of mathematics, sciences, foreign languages and other general studies. In the 1940s, it had seemed to ultra-Orthodox educators and parents that nothing could stop young people from giving up religion. Now the exodus stopped. The gulf between the society of scholars and the secular world grew too wide to cross. Rabbis wrote with satisfaction that children were outdoing their parents at piety. Their words portray a revolution in a society that believed itself to be changeless. Young haredi Israelis saw the previous generation as insufficiently religious—a paradox in a community for which religion and tradition were synonyms. To show they made no compromise with modernity, young haredim sought to follow Jewish law in the strictest fashion. They thereby created a new interpretation of Jewish practice, a strict constructionism that was itself a product of modernity. In this, the closed community of the ultra-Orthodox was part of the global phenomenon of fundamentalist movements—they are creations of the present claiming to be old-time religion. Tomorrow: How Israel can resolve its tragic crisis with the Palestinians.